Apollo Hospitals Group firm Apollo Energy Company has agreed to reduce its stake in Apollo Munich Health Insurance Company Ltd by selling 23.3 per cent in the insurance joint venture to its partner, Munich Re of Germany, for Rs 163.5 crore ($24.05 million). The proposed transaction is subject to regulatory approvals and is expected to be completed by the end of the first quarter of 2016, the group's hospital arm Apollo Hospitals Enterprises said in stock market disclosure. Following the transaction, Apollo Hospitals Group’s shareholding in Apollo Munich will reduce from 74.4 per cent to 51.1 per cent, while Munich Re’s shareholding will increase to 48.7 per cent. Promoter's private holding company(s), which own the rest, sold the stake in the deal. Apollo Hospitals held 10.23 per cent in Apollo Munich as of March 31, 2015 and will continue to hold the stake, it added. The proposed transaction values Apollo Munich Health Insurance at Rs 703 crore ($103.44 million). 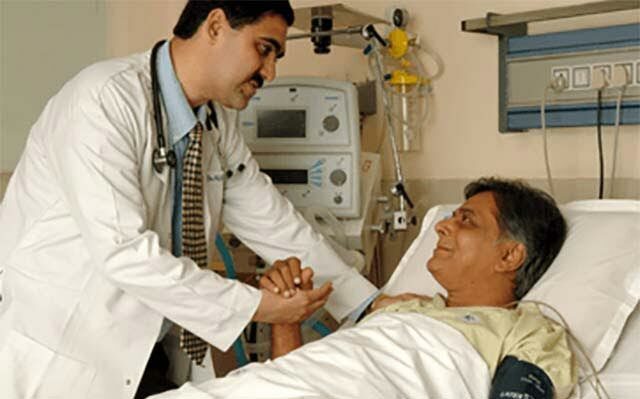 “Insurance is a key element for making quality healthcare facilities accessible to the masses. The show of confidence from our JV partner will go a long way in helping the group achieve its vision of ‘Healthcare for all’," said Prathap C Reddy, chairman of Apollo Hospitals Enterprise and Apollo Munich Health Insurance Company. Munich Re joins other foreign companies to raise stake in Indian joint venture following the government's decision in March 2015 to raise the foreign direct investment (FDI) cap in the insurance sector from 26 per cent to 49 per cent. The insurance sector has been a hotbed of activity after the government allowed foreign companies to raise their stake in their Indian joint ventures. The move was aimed at attracting long-term capital and improving the overall investment climate. Canada’s Sun Life Financial Inc, health insurer Bupa Plc, Japan’s Nippon Life and Tokyo Marine, UK insurer Aviva Plc, French firm Axa and Australia’s QBE Group and Insurance Australia Group Ltd are among the companies that have or are planning to raise their stake in their Indian insurance JVs. Apollo Munich Health Insurance, which was founded in 2007, covers over 4 million members and has 100 offices across the country. In the financial year ended on March 31, 2015, the insurer's gross written premium income was Rs 861 crore.